For over 40 years, Delta has inspired decorative painters, home décor enthusiasts and creative crafters with the latest in imaginative project ideas and high quality products. 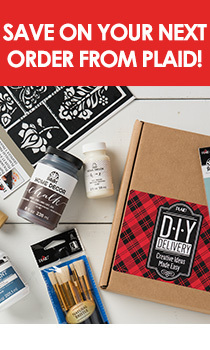 Try Ceramcoat®: acrylic paint; Tools and Accessories each carefully designed to meet the needs of today’s crafter; and Delta Stencils, everything you need for beautiful custom results. 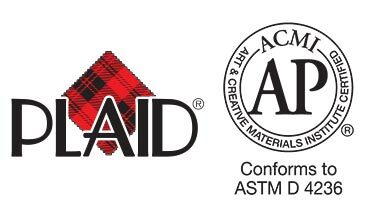 Plaid paints are certified safe & non-toxic by independent board-certified toxicologist. 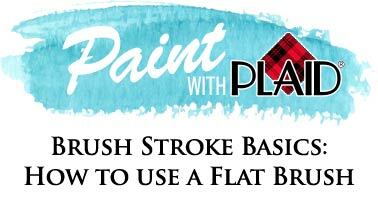 Want to learn how to use a flat brush properly? Watch these in-depth videos and download our Flat Brush practice guide to master the basic flat brush strokes! 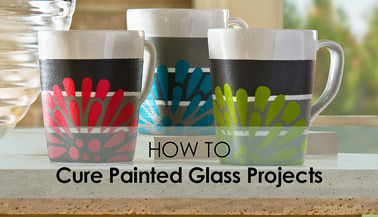 When using FolkArt Enamels or one of Plaid's multi-surface acrylic paint formulas, make sure to read these instructions on how to cure your painted glass surface. 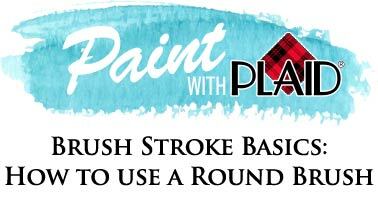 Want to learn how to use a round brush properly? Watch the in-depth videos and download our Round Brush practice guide to master the basic round brush strokes!